Broken links, lost domains need to be well managed to prevent hacking, trojan horses and viruses being distributed to your visitors and members. Broken Links are Bad for Business. What is a Broken Link? Whatever the cause, broken links are frustrating errors that need to be addressed immediately. If you click a broken link, you’ll see a 404-page error or similar message explaining the webpage is not available. Search engines see links as a vote for a website’s quality. Links to your website and links within your website can affect where your website ranks in search results. Google frowns upon dead links. Because of this, it’s best practice to either remove or update broken links. Cleaning up broken links can add context to your website, improve user experience, and make content within your website easier for visitors and search engines to discover. On the other hand, websites with too many broken links can be a signal of low quality to search engines. The natural tendency for links to eventually break is called "link rot", and it’s a widespread issue. It has been found in past studies that you can expect to lose about a quarter of the links on your website every seven years. One of the main reasons link rot exists is because websites become unavailable when they are abandoned or when interests change. Both websites and active links aren’t active forever, so regularly fixing broken links is a good practice, especially since links within your website can affect how high your website ranks in search results. These days businesses are coming online, and their web properties are a major asset to companies. One reason that can cause your domain name to be hijacked could be your negligence towards security. When you register a new domain; the provider gives you access to the domain’s Control Panel. This panel lets you change your domain’s settings that point to the original server. You will have provided an email address to gain administrative access. If the hacker can access this administrative email account, he can also have control over the domain’s control panel and eventually all the settings. Another reason is that your domain registration expired, and auto-renewal is disabled. Someone may register your domain in the meantime and you will be left with nothing. You cannot take any actions on the hijacker as his/her actions are completely legal. So to avoid this from happening, you have to make sure you’ve enabled auto-renewal on your domain names and register domains for longer durations. What are hijacked domains used for? Usually, the hijacked domains become inaccessible, and if the website was a source of income, you’ve started losing your money as well as your online identity. The hijacker might replace your website with another similar looking website and misuse it for Phishing or other malicious activity. This might fool your users and lead them to enter their sensitive credentials on a fake website. Recovering a stolen domain name is not always an easy job, and it is therefore imperative that you maintain adequate website security. You need to be protected from any form of website hijacking and theft. There’ve been many cases where the website owners were forced to change their domain names as they were left out with no other option and legal help was way too expensive. So, to avoid any such circumstances, you should keep your Control Panel & email account password secured and enable Domain Privacy Protection. All they need to do is to insert a link that you won’t know is present on your website. When search engines like Google crawl your site, it will index the malicious link and present it on the results page. If somebody uses that link, they will be directed to some other websites and hackers can make money out of that redirection. The look-alike, spoof websites are more common as they benefit hackers more by providing them with your information. Once your information – such as email ID or credit card information is with them, they’ll use it for personal gains. Use a good web firewall to prevent and shut down the website as soon as an offensive is launched. And make sure that it is configured correctly. Since the most common method of hackers is to use your own scripts against you, keep only necessary scripts. Update your blogging software & plugins. Plugins related to WordPress etc. are often updated, but website owners do not update the ones on their sites as they are unaware or scared to go for the update. They fear the website may be affected as a result. If you are using WordPress or Joomla, you should update the plugins regularly and if anything goes wrong – such as text alignment or something – contact a web designer to get it fixed. What is a Trojan or Trojan Horse? A Trojan is also known as Trojan horse. It is a type of malicious software developed by hackers to disguise as legitimate software to gain access to target users' systems. Users are typically tricked by some attractive social media adds who then directed to malicious website thereby loading and executing Trojans on their systems. Cyber-criminals use Trojans to spy on the victim user, gain illegal access to the system to extract sensitive data. If you own any type of website, social network, blogging site or marketing platform, you need to be on top of your game when it comes to maintaining security. It’s ferocious out there so there’s no room for complacency or ignorance. Even if you don’t own a platform but are working from it, check that the owner has fully complied with these extremely important housekeeping rules for your safety and the safety of your followers. Failing to do so will see its inevitable demise of both your business and reputation. I am a Writer for the Market Network and Crypto/Blockchain Industry. Also a strong advocate for technology, progress, and freedom of speech. I embrace "Change" with a passion and my purpose in life is to help people understand, accept and move forward with enthusiasm to achieve their goals. The Alexa Toolbar: Why You Need this Piece of "%#*&%@#". Google Uses Alexa’s Information For Ranking and Indexing! One of the worst toolbars is Alexa’s. It slightly slows down browsing, it’s Spyware (Spybot Search and Destroy will remove it unless you tell it not to), and it has an unremovable icon link to Amazon? So you’re probably wondering why I have the Alexa Toolbar Installed on my browser and why I tell my fellow marketers, webmasters and SEO gurus to do the same. It’s not the “pop-up blocker” – we already had one of those – right? And it’s not that it displays related links, site contact info or site traffic stats – although that’s not completely worthless i guess. . . Installing the Alexa toolbar and surfing your own site will absolutely help you get your sites indexed by Google more quickly. I just started this blog today, and the googlebot has already come by without any inbound links! Because the Alexa toolbar is such a pile, no one ever keeps it installed. So just by updating and surfing your own site daily, (assuming NO ONE else does), you can get your Alexa ranking from 5,500,000 or “no data” to around 300,000 in under a month and to 100,000 in 3 months. Alexa Rankings and Google PR are two of the main factors uninformed people look at when considering link exchanges. (Page Rank is completely useless BTW we have a white hat PR 4 site that gets 20 visitors a day and unranked sites that get several thousand per day). If you remember the Nielsen Company, famous for the Nielsen Ratings, you understand that what is put on television was once determined by what a minute fraction of TV viewers watched: The people with a Nielsen box on their TV Set – The Nielsen Families. Having the Alexa toolbar installed on your browser is like being a Nielsen Family for the web. 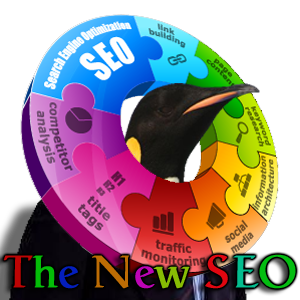 Your surfing habits will determine what is most “popular” and what sites should be ranked higher in the SERPs. That was reason enough for me to install the Alexa Tool Bar. Download it for yourself, and watch your Alexa Rankings Skyrocket over the next several weeks. We know Google looks at the Information, which means that Yahoo and MSN are probably looking at it too. Alexa’s Toolbar is a Great POWERFUL SEO tool. Just a reminder to make sure you have the Alexa tool bar plugin installed. It is an important tool among others. But I consider the Alexa tool the most important plug in for Internet Marketers.